When most people plan on renting beach homes, they schedule their trips for the height of summer. But in places like Alabama’s Gulf Shores region, vacation rentals are available year-round thanks to consistently pleasant weather. In reality, booking a trip during the winter may actually be the best option for this fun vacation. Here’s why. Summer at the beach can be crowded, to say the least. Not only does this make it difficult to find some peace and quiet, but also renting beach homes or getting a good seat at a restaurant can be quite the challenge. Traffic can also make it hard to get around. In winter, the crowds are gone, leaving only smart people like you and your family. You can take advantage of lower rental prices and book your dream accommodations. With less traffic and fewer people in general, your entire trip will be much more relaxing. You can’t go wrong with relaxing on a quiet beach with open stretches of sand and surf to your left and your right. The winter off season isn’t without its fair share of activities. Though the water is colder, temperatures that hover around the mid-60s to the lower 70s make for pleasant walks or bike rides outside. There’s no need to spend the bulk of your time in your beautiful beach home rental, and those who feel a little brave can still try swimming as well! 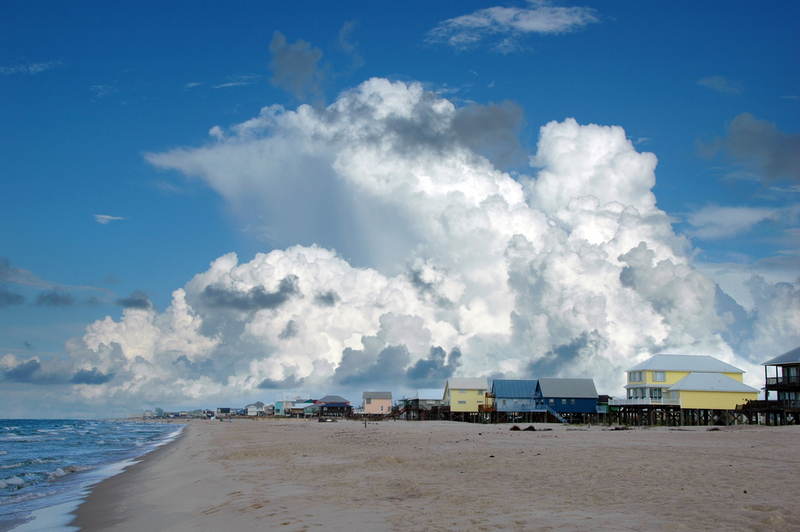 The Gulf Shores area is also home to amazing golf courses and exciting deep-sea fishing trips. Annual events like Mardi Gras bring a festive atmosphere during the winter months. Winter is also prime oyster season, marking a great time to enjoy this regional cuisine. If you’re looking for beach homes along the Gulf Coast of Alabama, make Sugar Sands Realty & Management Inc. your first stop for beach vacation rentals. Managing over 200 vacation homes and condos, this realty team will help you find an affordable rental that fits exactly what you’re looking for, whether that’s a weekend getaway or a seasonal rental. To learn more about their properties, visit them online or call (800) 824-6462.